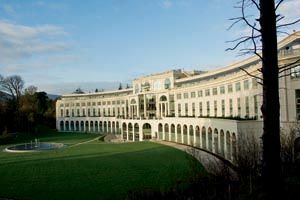 Powerscourt Golf Club is situated within the magnificent 1,000 acre Powerscourt Estate in the Garden of Ireland just 12-miles south of Dublin city centre. This inspiring par 72 championship course with 18 of the best shaped putting surfaces in the country has been built to USGA recommendations and measures just over 7,000 yd’s. 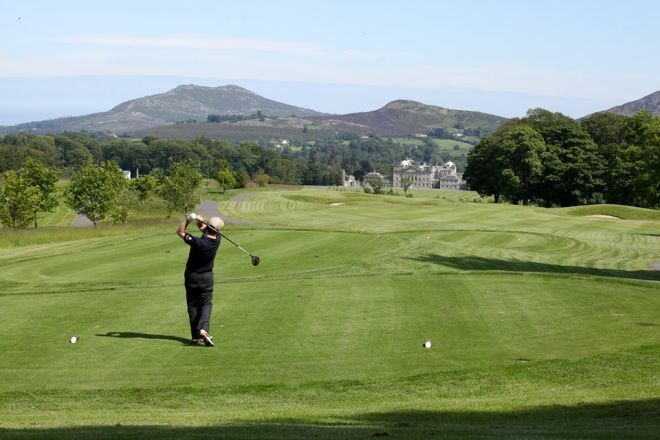 A free draining parkland course with links characteristics, Powerscourt tees, fairways, bunkers and sand based greens are of exceptional quality. 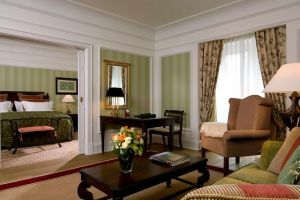 Set in Ireland’s most beautiful countryside with an abundance of mature trees and natural features with stunning views to the sea and the Sugar Loaf Mountain. 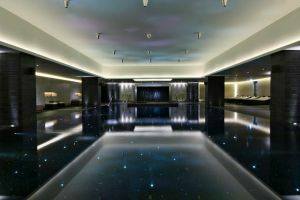 Powerscourt is simply an exceptional experience for all golfers. It was the venue for the AIB Seniors Championship in 2001 and a new 18-hole course has recently been construction. With the opening of the new West Course and the redesigned clubhouse, Powerscourt has established itself as a golf centre to rival any in Ireland. 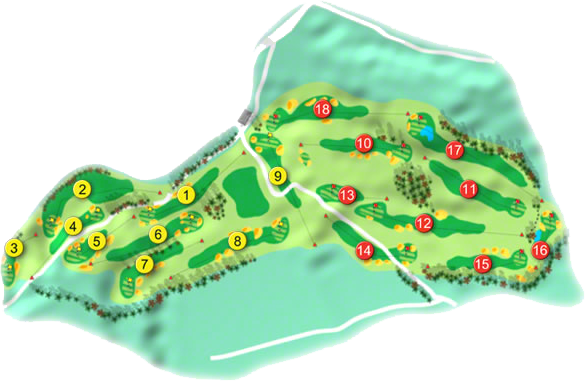 This new course was designed by David McLay Kidd, whose portfolio includes the acclaimed Bandon Dunes in Oregon USA. Like the East Course, the West offers a variety of challenging holes while presenting a new perspective on the stunning scenery of the Powerscourt Estate. Possessing the highest standard of tees, greens and fairways you’ll find anywhere in the country it was created with top class Tournaments in mind, however it can be enjoyed by golfers of all abilities. Parkland Course with links characteristics 6,345 mtrs (championship tees) Green fee is available every day. Powerscourt's West Course was voted the No. 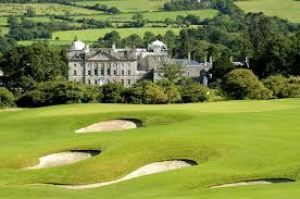 33-Parkland/Inland Course in Ireland by "Backspin" Irelands leading Golf magazine in 2008, the panel comprised of a selection of 52 Professional and amateur golfers throughout Ireland. Enjoy the spectacular view of The Sugar Loaf Mountains while you tee off at Powerscourt Golf Club, voted Ireland's Best Parkland Course 2014. Enjoy overnight bed & breakfast, dinner in Sika restaurant and one round of golf per person on either of the championship golf courses. 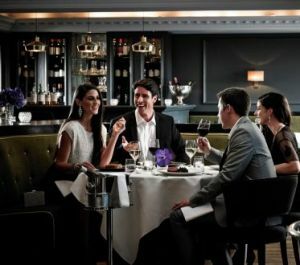 Golf Tee times & dining times must be booked at the time of booking. The Ladies of Powerscourt Golf Club won the East-Leinster Final of the AA-Insurance Challenge Cup in 2008 they made the journey to Limerick Golf Club to compete in the National deciders; where they met Connaught Champions and eventual green pennant winners Athenry in a nail-biting All-Ireland Semi-Final, first on the tee was Michelle Freeley (30) who lost her match on the 19th-green to Sara McDermott (31), Elizabeth Desmond won her match by 7 and 6, against Pauline McEvoy (31), next up was Bairbre O'Brien (31) who had a 1-hole win over Martha Breen (32), in the 3rd match Bairbre O'Brien (31) lost her match by 1-hole against Martha Breen (32), in the penultimate match Marie Clarkson (33) had a similar result against Maria Conlon (33), in the bottom match Annette Deignan (33) lost her match by 3 and 2 against Carmel Burke (35). Powerscourt Golf Club won the Old Conna Seniors Cup in 2002 when the team was Pat Curtin, Frank Belton, Des Howe, John Bell, Peter Todd, All Lawless, Oliver Maloney, Dermot Maloney, Dermot O'Sullivan, Tom Clarke, Michael Waters, Dermot Flynn, Denis O'Connor, Tom Byrne and Finn Meehan. They were managed by Ronnie Ellis, assisted by Don Casey. they won the Powerscourt Cup in 1999 when the team was, John Prosser, Trevor Turner, Bill Nolan, Pat Hogan, Patrick Marrinan, Kevin McCaughan, Chris Bell, Eddie Cowzer, Dermot Kelly, Max Miller, Ron Woods, they were managed by Frank Belton.